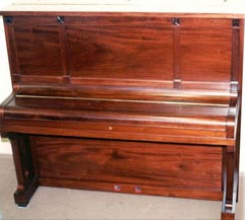 We undertake all aspects of piano servicing and repair work with very strong emphasis on reliability, thoroughness and painstaking attention to detail. 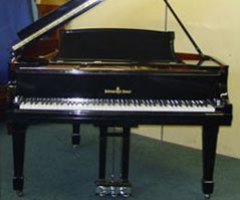 Unlike many piano businesses every technician at Piano World must be able to play the piano. 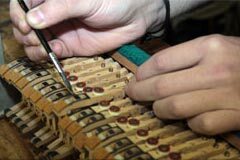 A proper apprenticeship-training scheme is in operation and staff is trained along the lines of the course recommended by the Piano Technicians Guild. 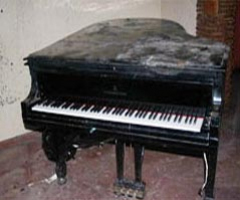 Full restorations for overseas clients are undertaken over and above our national clients. 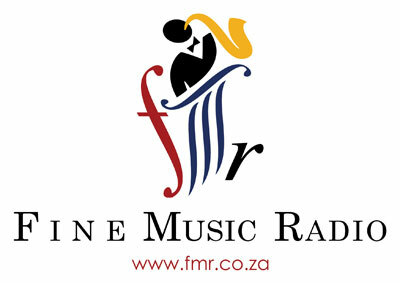 The dropping value of the rand over the last few years has made South Africa a very attractive venue, financially, for overseas clients. 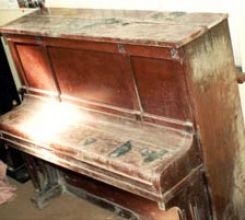 Major restorations include, the fire damaged Steinway Concert Grand piano from the 1820 Settlers Monument Theatre in Grahamstown, the grand piano from The British Consulate General Residence in Cape Town and most recently a Steinway Grand from Lusaka, Zambia.